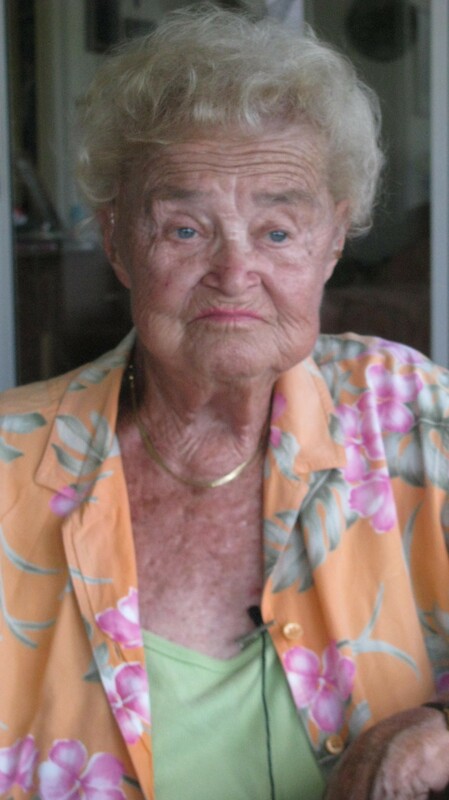 Bette Horstman of Port Charlotte, Fla. was a physical therapist who graduated from Mayo Clinic in Rochester, Minn. near the end of World War II, joined the Army and was sent to Saipan as a 2nd lieutenant to help the troops recover from war wounds. “The best patients I had were the Japanese Imperial Marine POWs,” the 90-year-old therapist recalled. “When you worked with a Japanese prisoner they would never tell you the therapy hurt. You had to watch their body language. When the beads of sweat started rolling of them I knew they were in a lot of pain. If the Japanese patients were her top patients, the Italian POWs were her worst patients. The Americans she treated were somewhere in between. It was 1944 when Horstman joined the service. After boot camp at Fort Sam Houston, Texas, Horstman was reassigned to Fort Lewis, Wash. before being shipped out to the Pacific war. “In May 1944 I went aboard a horrible troupe transport and was sent to Honolulu. I was seasick all the way from the the States to Honolulu. They put me in a bottom bunk because I puked so much,” she said. “I ended up in ‘Mosquito Gulch’ outside Honolulu treating Italian POWs most of whom were suffering from malaria. Most of them had fractures or amputations. I was trying to make them functional with exercise they didn’t want to do,” Horstman recalled. She saw eight to 10 patients a day. She would work with each patient as long as he need to her for physical exercise. Horstman was only at the POW camp outside Honolulu for a couple of months before she was reassigned to Saipan where she spent almost all the rest of her Army service there. Saipan is a small mountainous island three miles wide and about seven miles long in the South Pacific. “I set up a clinic in one of the Quonset Hut hospitals on Saipan. Every day I treated both American soldiers and Japanese POWs. We had 10 or 12-foot barbed wire fencing around our hospital to protect us from the Japanese. The Japanese weren’t interested in the American women on the island.They were only interested in the food because the ones still hiding out in the caves on the island were starving,” Horstman explained. 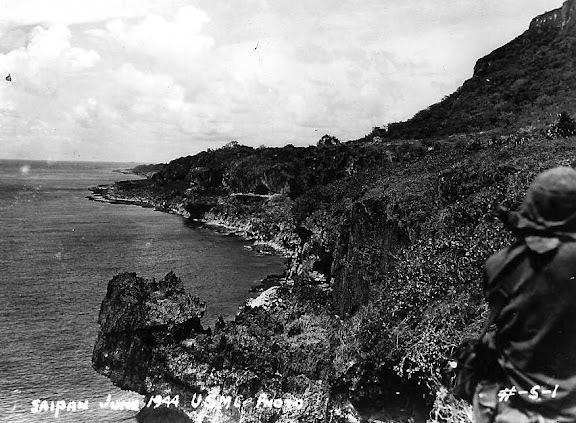 Almost every place she went on Saipan, she was accompanied by two armed Army guards. “I was dating a Chief Petty Officer in the Navy who took me to ‘Suicide Beach’ which was off limits for Americans because some of the beach still had anti-personnel mines on it. This was the beach were a number of Japanese civilians committed suicide by jumping from the 100-foot clefts to the rocks below,” she said. It was the start of her second year on Saipan. It was Jan. 1, 1947 before she was discharged from the Army. Horstman got a job as a physical therapist in a hospital in a suburb of Chicago where she worked for 10 years. Then she went to work for another hospital across town as a therapist. “I started my own physical therapy practice in the Chicago area sometime after that. I was the first female to do that in the state of Illinois,” Horstman said proudly. 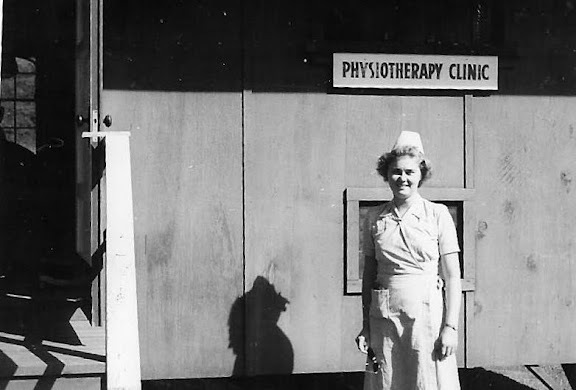 “For the last 68 years I’ve been a member of the American Physical Therapy Association. She sold her practice when she was 88. Up till then she and her husband, Harold, have been vacationing locally two weeks a year since 1980. Now that Horstman is no longer a working woman the two of them spend the winters in Port Charlotte. This story was first printed in the Charlotte Sun newspaper, Port Charlotte, Florida on Monday, April 23, 2012 and is republished with permission. Click here to view Horstman’s collection in the Library of Congress.